Several countries in the world, some of them very well-known, others not so popular, can boast some of the most beautiful forests on the planet. If you dream to visit a place because of its forest wealth, we can offer you a list of 10 countries that will not disappoint you. 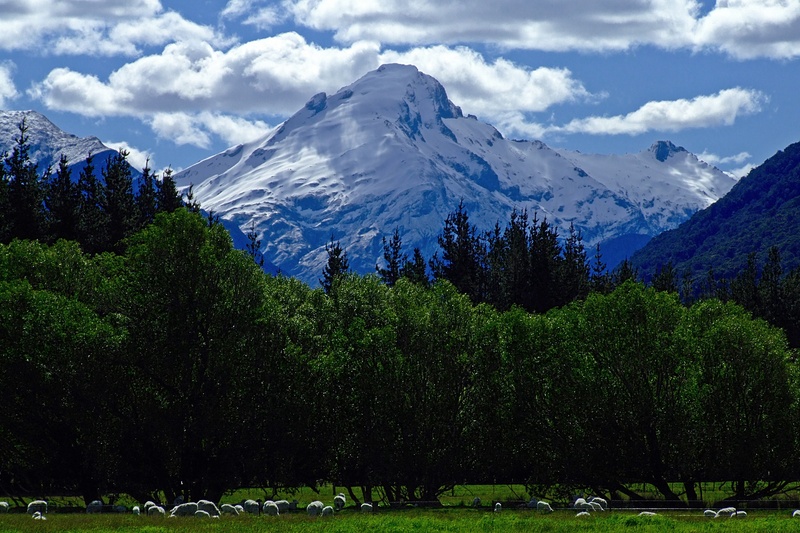 New Zealand has a beauty that seems to have come from another world and another dimension. Breathtaking landscapes and sceneries attract filmmakers from all around the world. For example the exciting trilogy “The Hobbit” was filmed in this fabulous country. Lush forests cover a large part of the islands, and many plants are endemic to this magical place. Not accidentally this is the place where one of the most interesting films of all time, Jurassic Park, was filmed. Costa Rica’s forest is so beautiful and full of surprises that most tourists will not be surprised if they suddenly see even a 15 meter high dinosaur in front of them while in the jungle. The largest rainforest in the world is right here, in the heart of South America. Its biodiversity is stunning, and if you want to take a walk around the interior of the rainforest there is a very easy and pleasant alternative – a few days boat cruise along the Amazon River. The boundless forests of Indonesia are home to numerous strange creatures and the humans closest relative – the orangutan. These forests are bustling with species, and the rule between them is just one – the strongest and most adaptable will survive. Indonesia’s thousands of islands are scattered between the Indian and Pacific Oceans, and the most striking are undoubtedly the larger islands – Sumatra and Borneo. Undoubtedly Croatia, the small Balkan country with fascinating coastline, offers the most beautiful forests in Old Europe. Abundant rainfall, mild climate and rich soils are the main reasons for this rarely seen European biodiversity and exceptional natural beauty. If we had to describe this country just in two words, they must be “incredibly beautiful”. The jungles of Malaysia are indeed among the most impressive in the world and the types of plants and animals you will find here are more than you can imagine. Namely the unique beauty of Malaysia makes this place one of the most attractive tourist destinations in the world in the 21st century. America is a country that has a lot of everything – large deserts, lakes, plains and vast forests. In the endless icy wilderness of Alaska and on the breathtaking tropical island of Kauai, part of the Hawaiian Islands, you will find some of the most beautiful forests in America and in the world as a whole. Magnificent pine forests stretch as far as the eye can see in the wild Canadian North and cover also most of the rugged landscape of the Rocky Mountains. Here, far from any civilization, the pine forests serve as cover for many animal species, and cold glacial lakes reflect the blue of the sky. A unique place, full of life and possessing out of this world beauty that is hard to be expressed in words. This is the rainforest of Panama. Situated between North and South America and between the Pacific and the Atlantic Ocean, Panama has a biodiversity that is hard to find elsewhere. Lush rainforests reach the snow-white sand beaches on the coast, and the glory of this tourist destination is increasing year after year. It’s no surprise that Russia presents in the list, especially considering its large territory. Stretching from the Baltic sea to the Pacific Ocean, the country is among the greenest in the world. Large areas in the south are occupied by broad leaf deciduous forest, and to the north, in Siberia, is the kingdom of the pine trees.